When looking at building a new home there are lots of different types of technology to consider. Insulting Concrete Forms (ICFs) are one of the fastest growing segments of the building market. 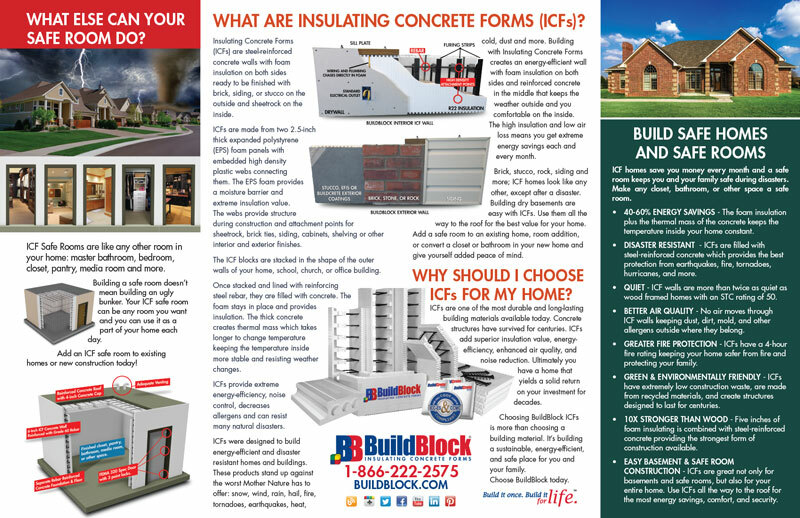 BuildBlock has created the brochure below to explain how this technology integrates with standard home construction and to dispel some of the myths about ICFs. 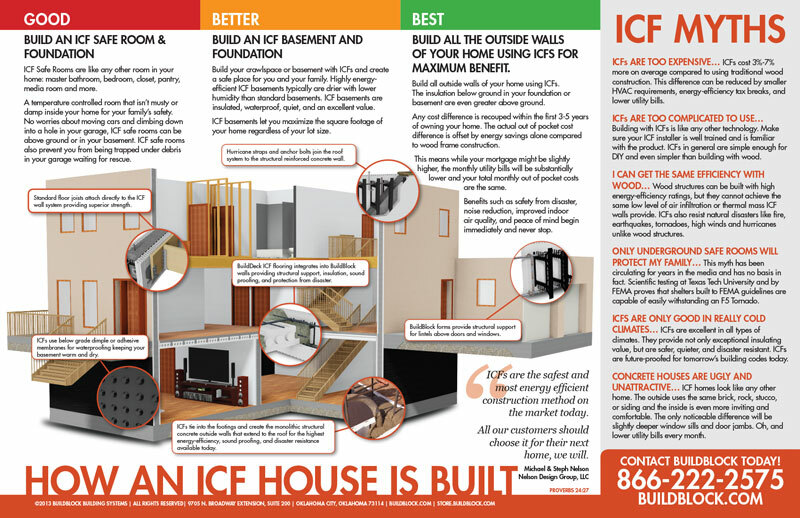 This brochure describes Good, Better, and Best options for ICF construction and shows you options for building and ICF safe room. Image of the brochure are below. You can download a full size PDF here.